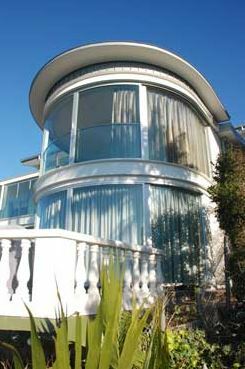 MHM loves curved glass which is particularly handy when restoring windows in Streamlined Moderne style houses. Curved or bent glass can also be used for doors, balustrades, partitions, shower-screens, splashbacks, display cases, wall panelling and pool fences. Bent & Curved Glass Pty Ltd is a fully specialised curved glass manufacturer in Australia and their contact details can be found in our Resources Section or on their website. 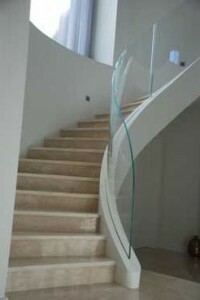 They produce curved toughened, curved laminated and curved annealed glass as well as curved double glazed units.